This week over at i ♥ faces the theme is "pink" in honor of breast cancer awareness! I was planning to do a photo of Ella w/ a pink lollipop but it just didn't happen. 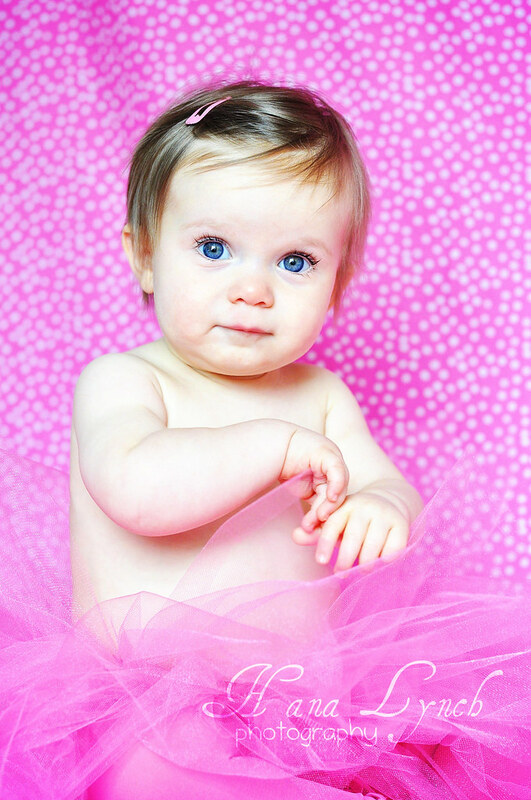 I went through my archives and selected this photo of Ella, her 1st birthday portrait! Can't get any "pinker" than this! Love it! Head on over to i ♥ faces to see more "pink" photos or to enter your own. she is amazing and so is the photo! Sigh... I wish you could come take my daughter's first year portraits. I'm having such a hard time finding someone! What a pick shot! Very, very cute! I love how her blue eyes pop out agaist the pick! how did you get the eyes so sharp?? Oh my goodness! How adorable!! AHHH totally love it. It so simple (as in uncluttered!) and so beautiful. So lovely! She has such beautiful eyes! oh it is just perfect. And, as Kate said--so simply beautiful! This is soooooooooo CUTE! I love how you take pictures, the lighting and posing is perfect!